A discussion about podcasting with Adam Clark from The Gently Mad and Irresistible Podcasting. Some functionality is important enough to make sure the test behavior coverage is thorough. In this episode, we discuss 3 techniques that can be combined to quickly generate test cases. We then talk about how to implement them efficiently in pytest. Use the RCRCRC mnemonic/heuristic to prioritize functionality that needs to be tested. What tests to you write first when testing a legacy system? Or any system really? A discussion about continuing education, specifically certificate programs, at UW and other universities, either online or in person. 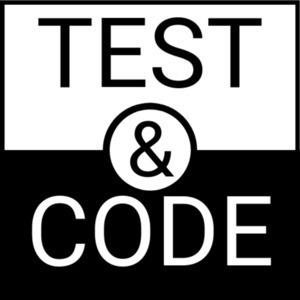 Test Driven Development (TDD), how it relates to Test First, and what is Test First Development. What started as a twitter disagreement carries over into this civil discussion of software testing. Brian and Paul discuss testing practices such as the testing pyramid, TDD, unit testing, system testing, and balancing test effort.